England’s world No28 Jonathan Kemp continued his irrepressible form at the Wolverhampton Open to clinch the title after upsetting second-seeded compatriot Alister Walker in the final of the $20,000 PSA World Tour squash event in its fourth year at Wolverhampton Lawn Tennis & Squash Club in Wolverhampton, England. The 28-year-old sixth seed, who was born in Wolverhampton, had reached the final against expectations after knocking out top-seeded Dutchman Laurens Jan Anjema in the semi-finals. And in the final, Kemp recorded an emphatic 11-4, 11-6, 11-9 win to clinch the UK’s largest club-based squash championship title. Both finalists, competing in the event as part of their final preparations for the internationalSPORTgroup British Open in Manchester, showed remarkable resilience and powers of endurance after a succession of hard matches in earlier rounds. The left-hander overcame spirited resistance from Walker, ranked 12 in the world, to the delight of a knowledgeable capacity crowd at the Wolverhampton club. “That is without question the best I have ever played,” said the local favourite. “Alister has beaten me on the last three occasions, so I am really pleased with my win tonight – I am sure we will have a lot of future battles. 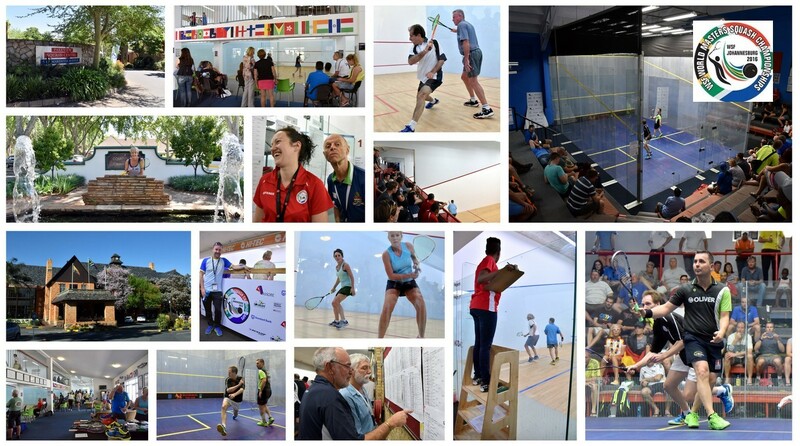 Stephen Russell, the Tournament Director, said: “The crowds this year have been fantastic with more or less a full house from the first qualifying round. I would like to add a thank you to four of the professional competitors who stayed to the end of the week and put on a highly entertaining doubles match before the men’s final. Amr Swelim and Campbell Grayson narrowly defeated Simon Rosner and Darren Lewis in a match full of tension and laughter. Kemp’s remarkable success marked his fourth PSA Tour title of the year – achieved in five successive final appearances since March, with title triumphs in the Manitoba Open in Canada, and then the Berkshire Open and Atlanta Open in the USA before his ‘hometown’ success in Wolverhampton. England’s Jonathan Kemp continued his giant-killing run in the Wolverhampton Open by upsetting top seed Laurens Jan Anjema to set up the first all-English final of the $20,000 PSA World Tour squash event in its fourth year at Wolverhampton Lawn Tennis & Squash Club in Wolverhampton, England. The Wolverhampton-born sixth seed was in devastating form to overcome Dutchman Anjema in an epic 11-4, 12-10, 5-11, 8-11, 11-0, 60-minute semi-final. The favourite, ranked 13 in the world, showed no signs of fatigue, despite a physical 84-minute quarter-final win over Englishman Joey Barrington less than twenty-four hours earlier. Kemp, celebrating the 11th PSA Tour final of his career and looking for his fourth trophy of the year, faces compatriot Alister Walker, the second seed who defeated Malaysia’s Ong Beng Hee 10-12, 11-8, 11-7, 11-7 to reach the final of the UK’s biggest club-based squash championships. The 26-year-old Englishman, who has risen nineteen places in the world rankings since last year’s event, is celebrating the sixth PSA final of his career. England’s Jonathan Kemp celebrated the return to the city of his birth in fine style when he beat New Zealand’s Campbell Grayson in four games in the Wolverhampton Open to claim an unexpected semi-final berth in the $20,000 PSA World Tour squash event in its fourth year at Wolverhampton Lawn Tennis & Squash Club in Wolverhampton, England. Campbell Grayson, who despatched No3 seed Amir Atlas Khan in the opening round, was unable to progress past sixth seed Kemp, who won 11-4, 6-11, 11-7, 11-6 to make the semis for the first time in his third appearance in the event. Kemp, the world No28 now based in Halifax in Yorkshire, will face top seed Laurens Jan Anjema. The Dutchman won the opening two games against Englishman Joey Barrington in convincing style before a courageous fight back from the fifth seed saw Barrington take the third and fourth games. But the Dutch champion regained the advantage to win 11-5, 11-4, 7-11, 7-11, 11-6 in a physical 84-minute battle. Second seed Alister Walker, one of the UK’s rising squash stars, scored an impressive 11-5, 11-4, 11-1 win over Italian seventh seed Davide Bianchetti. Walker, who defeated Irish qualifier John Rooney in his opening match, outplayed his Italian opponent with a combination of high tempo length, subtle changes of pace and attacking angles and drop shots to reach his second semi-final in two years at Wolverhampton. The final match of the evening saw Malaysia’s Ong Beng Hee, the fourth seed, clinch the remaining semi-final place after defeating England’s eighth seed Chris Ryder 11-6, 12-10, 11-8 in a high quality competitive and entertaining 47-minute encounter.